This past week has been one of the most difficult on record. It began with preparing an application for a position I hoped to fill, while navigating the complexities of my expanding disability with a new potential employer. By Thursday, I had fallen twice and hesitantly accepted the loan of a wheelchair from Children’s Hospital. We were there for an unexpected surgery on my daughter, Sloan. I wanted nothing more than to be present for her in that moment, and my disability came between us. On Friday, I came to grips with the fact that I will likely need to purchase a wheelchair of my own, just prior to being dismissed from the interview process. My posts concerning daily life with Ehlers-Danlos Syndrome have always breathed a confessional aire, birthed as whispers before the dawn; a kind of pain-riddled poetry attempting to explain why my body was degrading so rapidly. The issue now is to describe the reality of slowly becoming disabled. I don’t know if I’m prepared for this task. For those of you following my journey with genetic illness, we checked in last June after our family relocated to Colorado. “#DesertLife,” as I’ve jokingly referred to it since the move, has treated us well. Not everyone sees snow-capped peaks from the nearby Rockies on their morning trek, and I cannot overstate how my life has been improved by safe access to medicine, practically on-demand, by flashing my state-issued medical marijuana card. 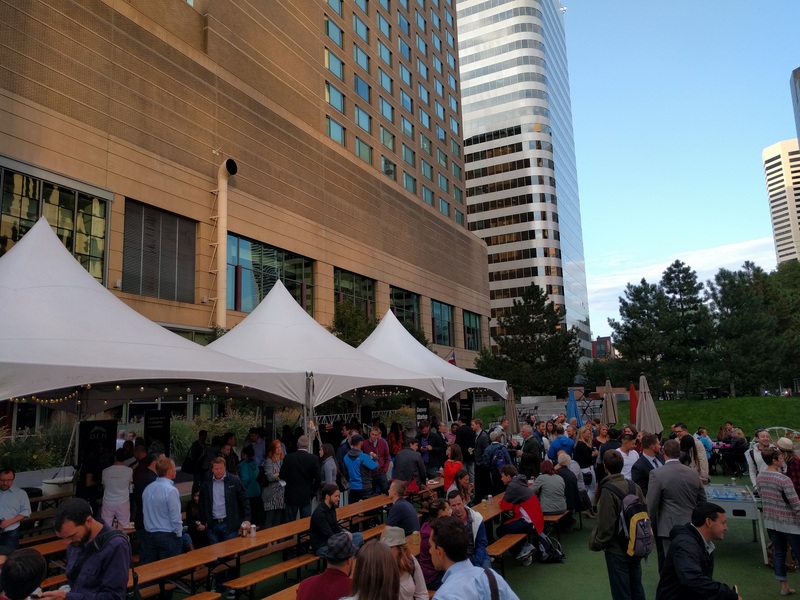 Denver’s tech scene is also rising nationally, adding to the reasons that I should be here. Despite what I hoped for, the days between then and now have not been the kindest to my mind or body. Both are weak from the work of keeping my body together, and the need to constantly reassert myself as a person. In my articles last year, I discussed the decade-long process of obtaining my diagnosis, the growing impact of chronic pain, general ineffectivenss of opiates, and the path to becoming a medical cannabis patient. At the time, I was still able to walk approximately a block or cycle several miles before the pain became overpowering. Holding my lax hips and knees together long enough to board transit wasn’t the easiest task, but it didn’t cause the pain I feel now. It’s quite common for EDS patients to either become symptomatic or experience a rapid acceleration in symptoms late in their 20’s. It was therefore altogether unsurprising when, after years of vigorous exercise (for someone with a connective tissue disorder), my joints were failing in rapid succession. The first to go was my right knee, which was immediately followed by the ankle below it. My issues with these joints began after a painful bicycle wreck, where I flew over the handlebars while my lower extremities were tangled in the frame. My rheumatologist at the time dismissed it after a few Xrays, and refused to investigate further. Never one to quit, I recovered on my own and continued to ride Chicago streets. As the pain grew progressively worse, I started wearing knee braces and limiting my walking. During September, I attended one Startup Week event, but the walking required to attend others was prohibitive. Even though I was in debilitating pain, I still tried to cover it up. My body was still executing it’s standard operating procedure, which is no doubt shared by chronic illness patients around the globe: attempt to be normal until you no longer can. In December, I purchased a pair of forearm crutches on the recommendation of my general practictioner. Since then, they’ve been a mostly helpful tool as I move about. However, connective tissue is everywhere and so is the damage caused by disorders that affect it. It wasn’t long until I noticed additional pain in my shoulders, elbows, wrists, and hands — all a product of lifting with my upper body, something I struggled to accomplish even when feeling well. In order to understand where I was emotionally and mentally during December, you must first rewind to the wee hours of November 9th. Just as the early morning light began to appear, I awoke, in pain, to the news that Donald Trump had won the presidency in a surprising upset victory and would likely be taking a radically conservative agenda with him to Washington. The entire Trump campaign, start to finish, was built on scorched earth techniques. His goal, like many Republican-leaning legislators before him, was to loosen the chokehold on industry. One of his signature policy items was repealing the Affordable Care Act (A.C.A, “Obamacare”), the law that granted me access to healthcare when the only option available to my wife and I was purchasing insurance on the individual market. As you might imagine, being born with a twisted spine is incredibly frustrating, but just as I didn’t expect to be diagnosed with an incurable genetic syndrome, I also didn’t assume I’d enter adulthood without the means of attaining basic healthcare. Most of my visits were, for a time, denied due to one of my many pre-existing conditions. This year, that desire to access quality health services that allow me to contribute to society and ease chronic pain without also carrying a disproportionate cost of the country’s healthcare system has become exceedingly political. In every conversation, I lost a friend. Not one was able to think clearly about anything other than the tax break they’d get if repeal passed. Considering the dread I’ve felt these past months, as the Republicans’ replacement bill has died repeatedly only to be resurrected (and often with even crueler language), I can’t find a morally just reason to stand by their decision. I haven’t heard a single apology, and I don’t expect one. I hope they’re happy. Of course, there is plenty of misinformation circulating in the wake of bill passed by the House, and sadly, most of it has clear partisan intent. The hope was that this would be the first of a few surgeries, each one a piece in my doctor’s comprehensive strategy to help me walk unassisted again. However, my orthopedic care team has decided to be intentionally unhelpful, so I’m once again back to square one. My Physical Therapists, the team who has arguably helped the most, loves to wear a new smug look while informing me that they understand the pain better than I do. In related news, I have a plan to record every interaction with a healthcare provider from now on, and maintain a complete audio record to be accessed whenever I find it necessary. The realization earlier this week that I need a wheelchair admittedly has me shaken, but it’s also a reality I mentally prepared for. The unfortunate reality is that while I can stand, I cannot walk without dislocating a joint or pinching a nerve so significantly that I often topple to the ground, likely dislocating other joints in the process. I dread walking, the pain is so great. I’m afraid of the consequences of repeated falls with a connective tissue disorder. Logically, for these reasons and many, many others, I realize this is a necessary assistive device and yet, I’m ashamed to need it before I turn 30. In my professional life, explaining complex lessons has become a specialty. Here, I don’t have any answers. Maybe it’ll be okay if I lean into work I love, learn to be okay with the chaos of Ehlers-Danlos Syndrome.